Stillframe of prior China Central Television footage extolling the virtues of its Chinese Muslim re-education camps. Until recently China flatly rejected accusations that it forced hundreds of thousands of ethnic Uighurs into what the US called re-education and indoctrination camps rife with “awful abuse”. The interviews on China Central Television appear to be the latest step by the government to acknowledge and justify what it describes as “vocational schools” in the Uighur province of Xinjiang. Beijing has said that the camps have helped to stop religious violence. The Times report outlines some of the interviews, and the quotes appear carefully scripted, conveying how the Communist government wishes the public to perceive the program. One restaurant owner who acknowledged spending time in a camp said he became more tolerant: “If I had let the religious extremism develop, I might have beaten non-Muslims who entered my restaurant,” the man identified as Abudu Saimaiti said. “In the worst case, I would not walk on public roads, take city buses or use the official currency, because they are provided by non-Muslims, who run this country." The state TV program alternates between depicting joyful scenes among Muslim inmates expressing gratitude for their "rehabilitation" to young students testifying they were taught by Uighur leaders to "shun Chinese society' and to believe that non-Muslims must be killed, according to a description by The Times. Chinese officials have condemned Western accounts of the camps, recently telling the UN Human Rights Council for example that humanitarian concerns were "not factual" and are "politically driven" attacks. 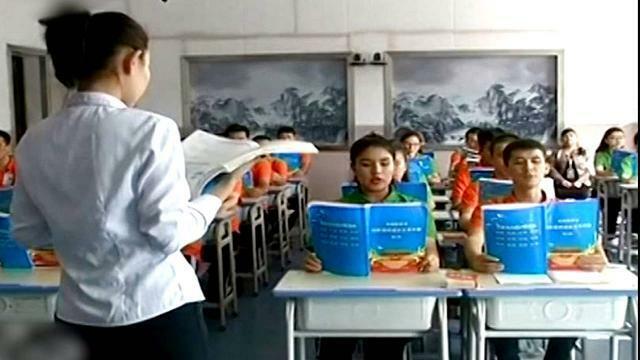 Other officials, such as head of the regional Xinjiang government, where most Uighurs in China are historically based, promoted the camps as a place to learn "vocational skills". China has also lately touted the program as behind a significant drop in terror-related attacks in the previously restive province. Last summer the United Nations began taking note of the large number of cases in which prominent Uighur Chinese citizens and dissidents were being "disappeared". A UN panel noted credible reports that more than 1 million ethnic Uighurs in China were held in a prison network that resembles a “massive internment camp that is shrouded in secrecy”. The U.N. Committee on the Elimination of Racial Discrimination also called the system a race-based program which sent Muslim minorities into “political camps for indoctrination”.